Whether discharging a planning condition with one of our management plans or helping you to identify, survey and accurately plot any Invasive Species on your site, we’ve a vast amount of knowledge and experience to assist you from as early as the planning stage and beyond. We always advise that you aim to identify the Invasive Species as early as possible. Let us apply our expertise and put in place a realistic management plan that will really benefit your site. 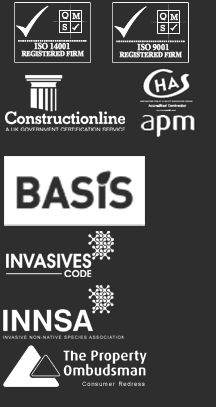 Any risk and cost to your development will be minimal and delays can be avoided. That’s peace of mind for you. Japanese Knotweed is a tall perennial plant, dying back in winter and re-emerging in spring. The shoots start to emerge in late March to early April, with an appearance of asparagus and are red-green in colour. As it grows through the summer, the red colour turns into red speckles on an otherwise green stem and at full height it can reach up to 3m. 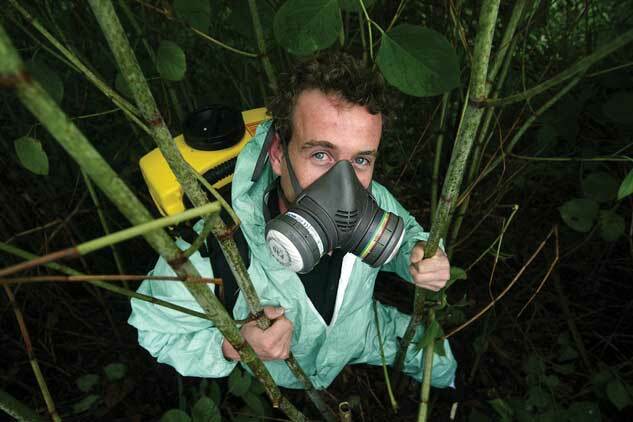 Over the last 15 years we’ve developed and improved upon a number of remediation techniques for Japanese Knotweed and other Invasive Species. Our speciality is on-site treatment methods, including burial, screening and the use of high performance geo-membranes, all of which benefit form an Insurance Backed Guarantee.